Women Only: A Full Woodshop Introduction! Sats May 4+18, 1030a-530p SOLD OUT! Suns Jul 14+21, 1030a-530p ONLY 1 SPOT LEFT! Sats Aug 3+10, 1030a-530p NEW! Interested in a sold-out class or different dates? Call us (267-331-5880) or email us and we’ll see what we can do! Class Description: Whoever says that woodshops are just for guys has never been to Philadelphia Woodworks! 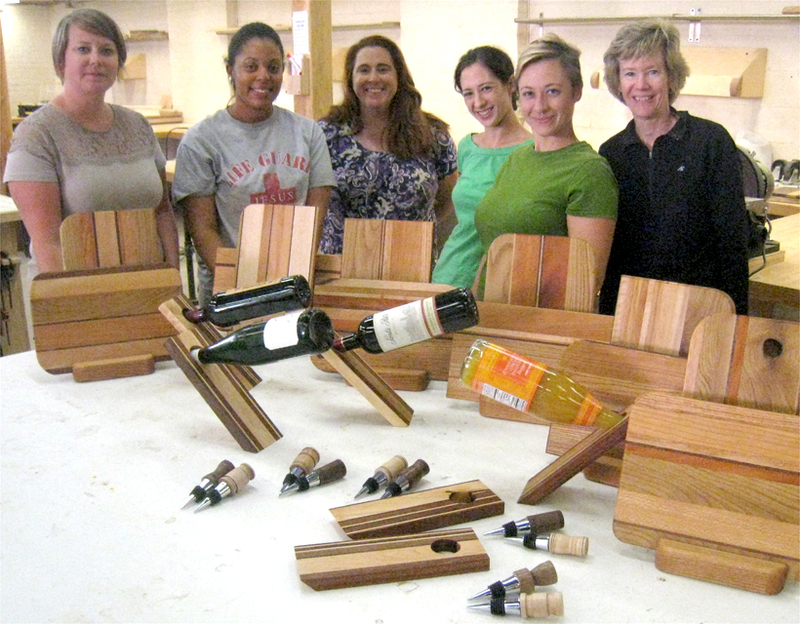 Come enjoy a women-only full introduction to a professional-grade woodshop with our woodworking experts. Using our lathes, jointer, planter, tablesaws, bandsaws, router tables and sanders you will create a full complement of gorgeous projects for your home. Come and have fun in this full shop exploration in a women-only environment! Perfect for some mother-daughter bonding or just some time with the girls. Important Note: Depending on our staffing availability at the time, the instructor for this class may be male or female. The class was perfect. The instructor made it- she had the right balance of instruction and hands-off support. I can’t wait to come back!” Sara S.
“The class was a totally unintimidating introduction to woodworking that gave you real hands-on experience. The best part is you got to leave with a fully completed piece that looks good and I can actually use!” Liz P.
“Getting to make something with my bare hands made one feel sorta like a kid again. A kid enjoying the simpler things in life.” Nancy F.
“The class was incredibly educational and so much fun! Sign up!” Laura O.